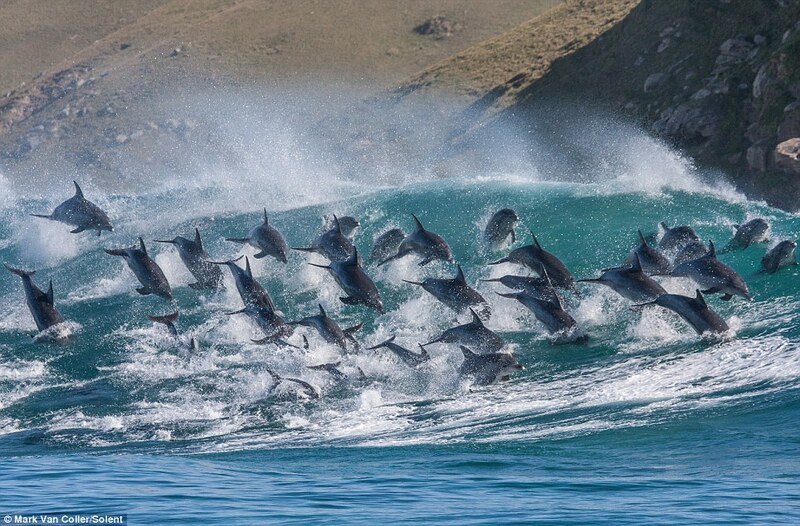 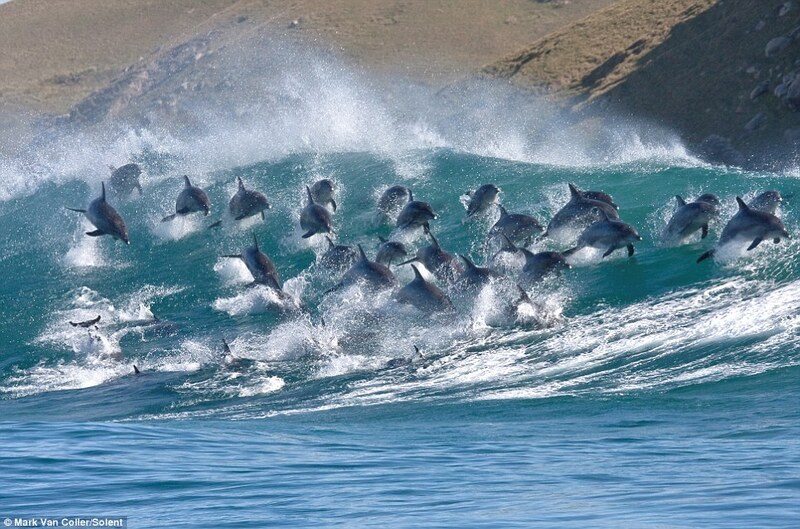 A pod of 40 bottlenose dolphins were spotted jumping out of the back of the breaking waves that were rolling into the east coast of South Africa. 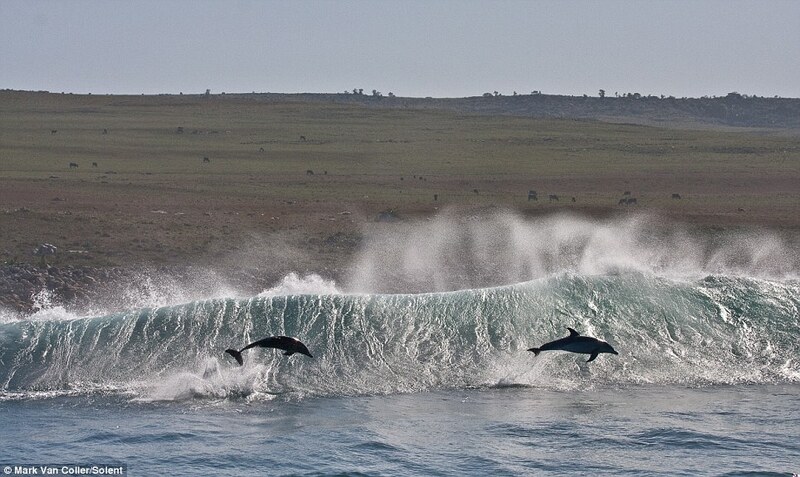 Despite facing waves as big as eight feet, some of the more energetic marine mammals were seen leaping six foot out of the sea. 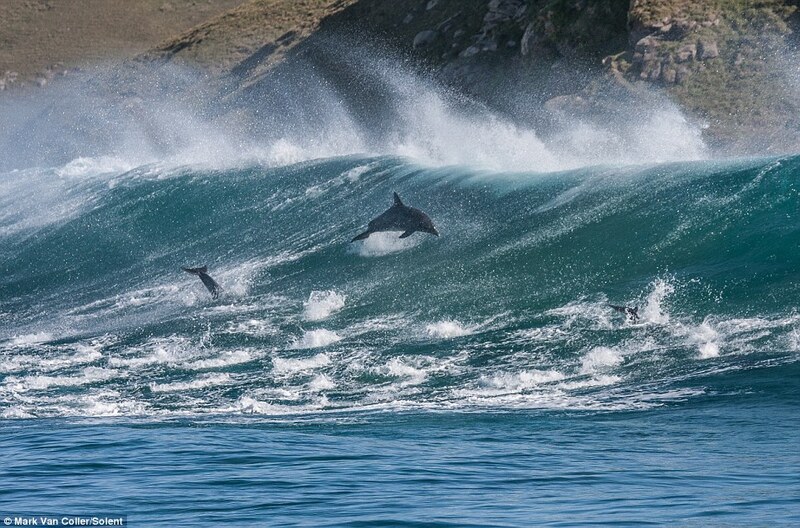 The dolphins were photographed by Mark van Collier as they made their north up the east coast of South Africa, near Port St Johns. 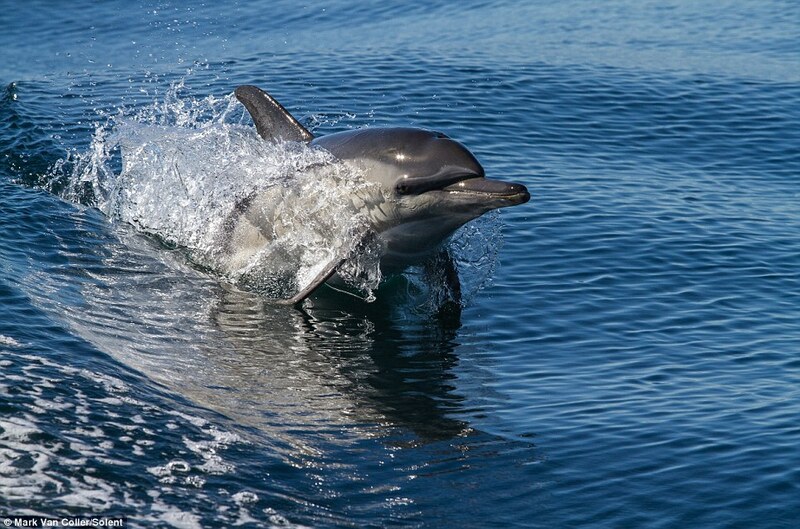 Mark travelled alongside the pod on a boat and was amazed to see so many dolphins ‘surfing’ in unison.